#adrawingaday #succulentdreams I've tried to push myself being the end of the month, squeezing in more subject matter and trying to up my blending game. I am learning a lot about pencils and how to customise colours. Such fun! 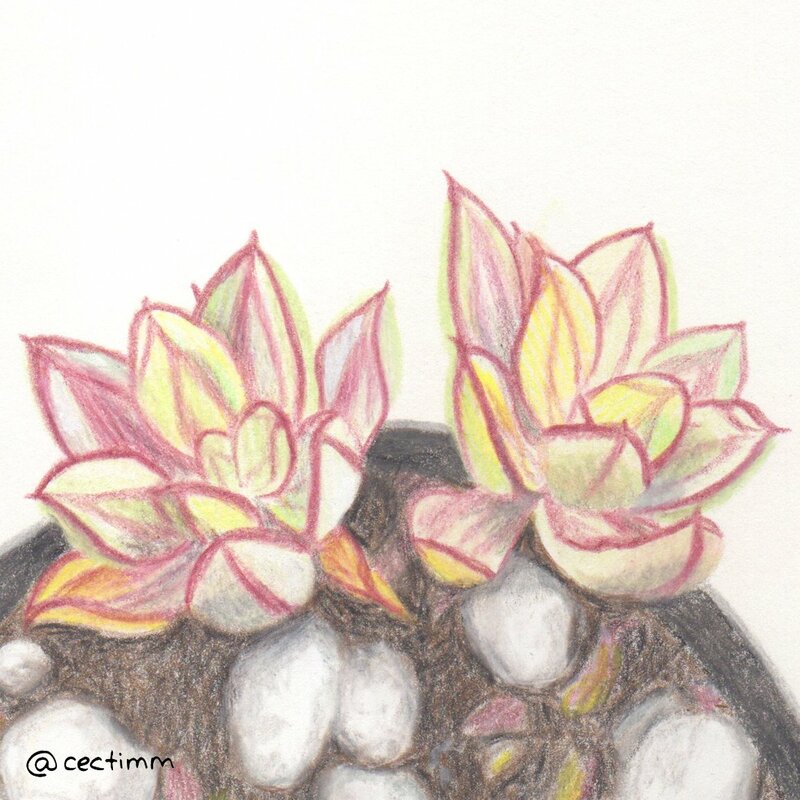 The source image for this was shared in the Facebook group Succulent Swap Australia but not for me to draw... Kelly Pineira was asking a question about this plant and I liked the photo so much I had to draw it... one more succulent drawing to go ♥ If you would like to purchase a drawing or commission a portrait, please get in touch. 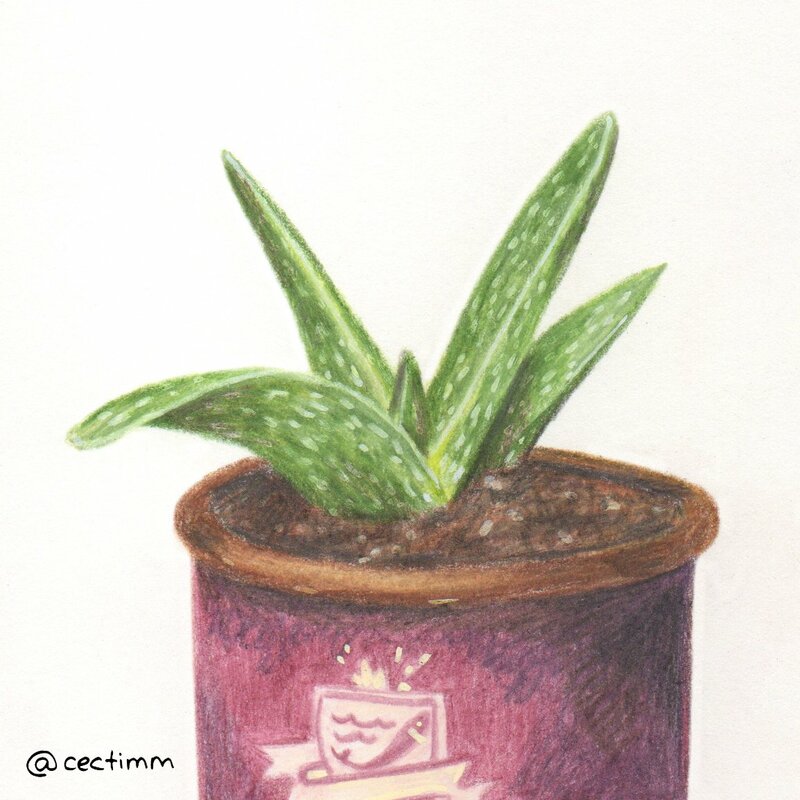 #adrawingaday #succulentdreams Another Bunnings special - I love me a good aloe. They look great and are great for you... did you know that they are very efficient at cleaning the air and would be a great addition to any home or office? More to love ♥ If you would like to purchase a drawing or commission a portrait, please get in touch. #adrawingaday #succulentdreams This sweet little sample would look lovely in my garden... another one for me to find and buy :P The photo for this one was supplied by Samantha Manis from the Facebook group Succulent Swap Australia ♥ If you would like to purchase a drawing or commission a portrait, please get in touch. 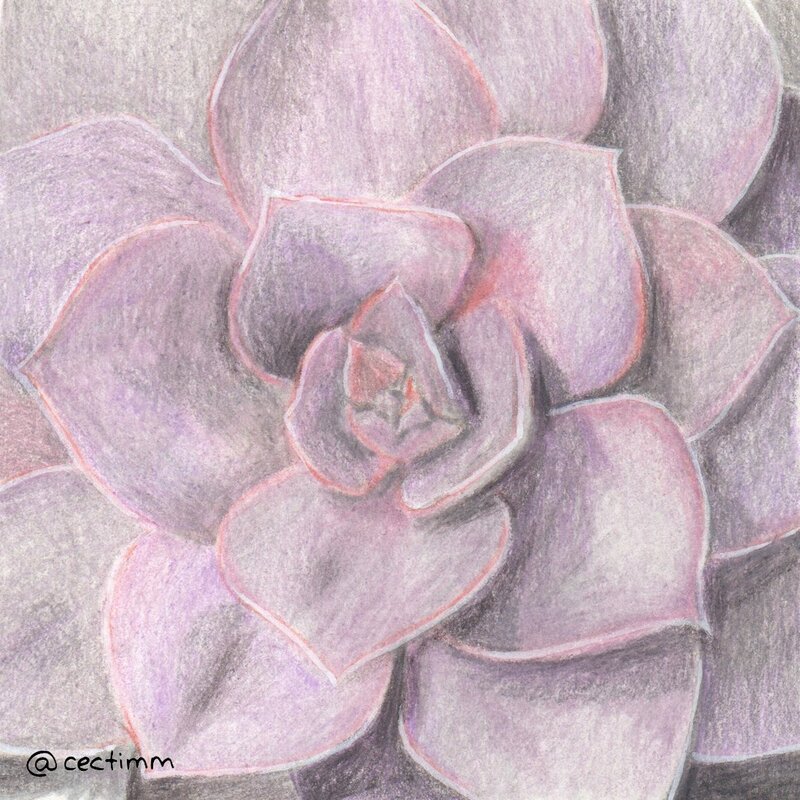 #adrawingaday #succulentdreams I love the grey purples of many succulent leaves. They have a smooth matt surface that feels almost velvety. 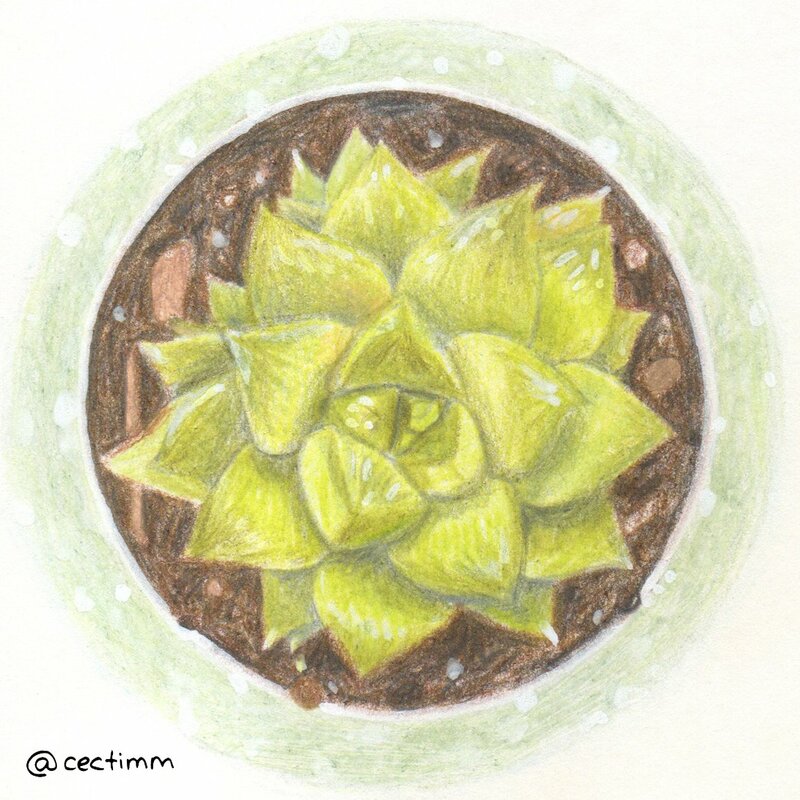 The source image for this drawing was supplied by Kelsi Mackenzie a member of the Facebook group Succulent Swap Australia. 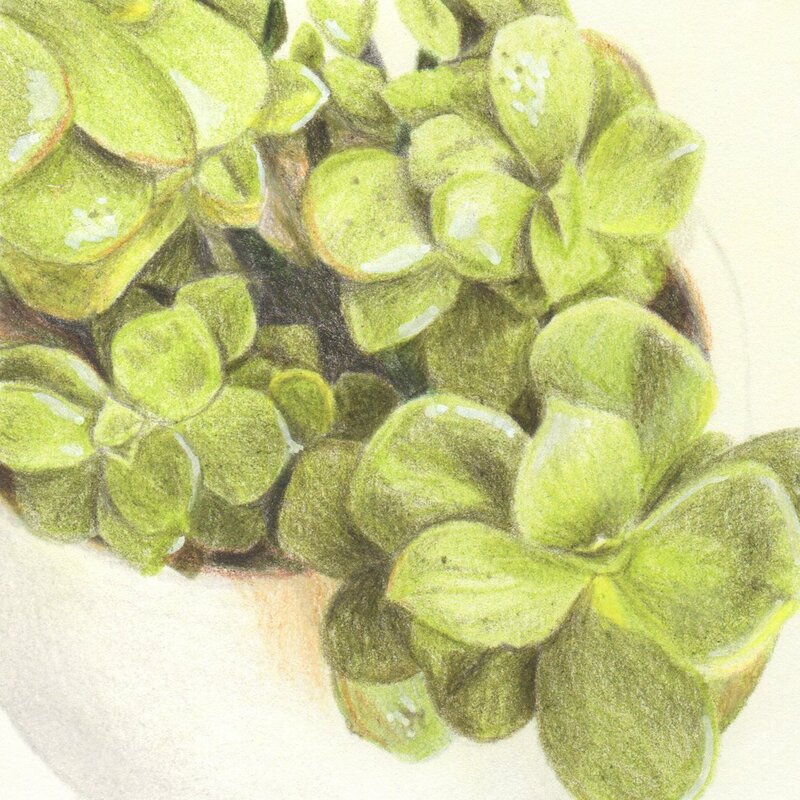 The beauty of succulents is not only in their variety but in the gorgeous appearance of the most common specimens ♥ plus they are hard to kill :P If you would like to purchase a drawing or commission a portrait, please get in touch. #adrawingaday #succulentdreams There are so many weird and wonderful varieties of succulent plants... I recently saw someone looking for an unusual plant ion a Facebook group and it was one I hadn't seen or heard of before... tephrocactus geometricus. It reminds me of BB-8 from Star Wars and it has a beautiful and very alien like bloom ♥ If you would like to purchase a drawing or commission a portrait, please get in touch. #adrawingaday #succulentdreams I love the pattern made by the leaves spiraling out of succuent plants. I'm sure Divinci would have had a theory about how and why these leaves create this pattern. This image was inpsired by a photo shared by Jude Zilla form the Facebook group Succulent Swap Australia ♥ If you would like to purchase a drawing or commission a portrait, please get in touch. 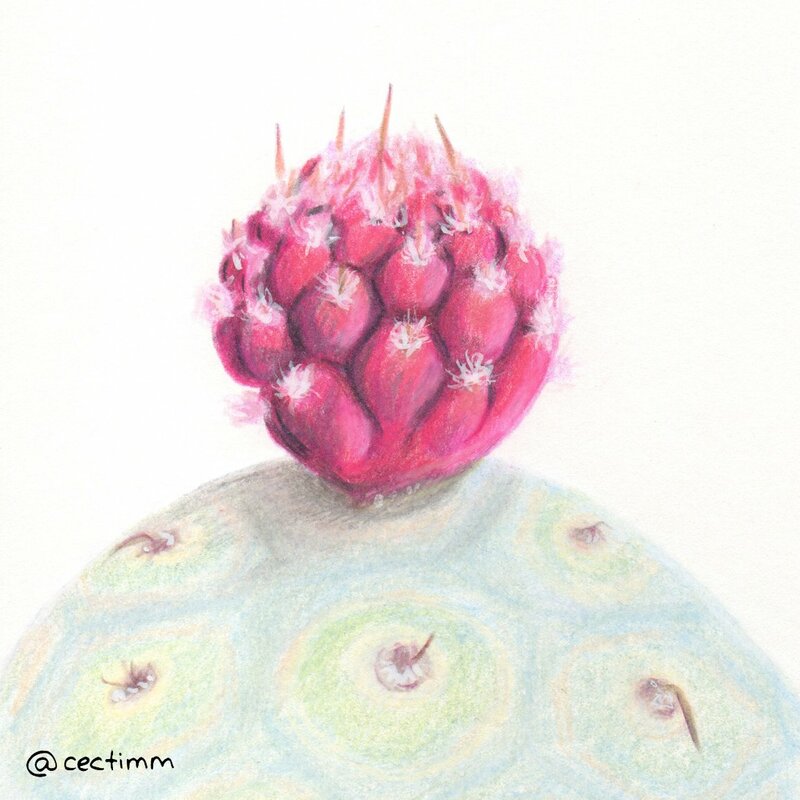 #adrawingaday #succulentdreams I love how succulent plants can be round and squishy and then some of them have massive death spikes to protect themselves. Some could actually take an eye out. I adore the sunset colours in the spikes on this plant, source image was supplied by Elke Rose Ridley form the Facebook group Succulent Swap Australia ♥ If you would like to purchase a drawing or commission a portrait, please get in touch. 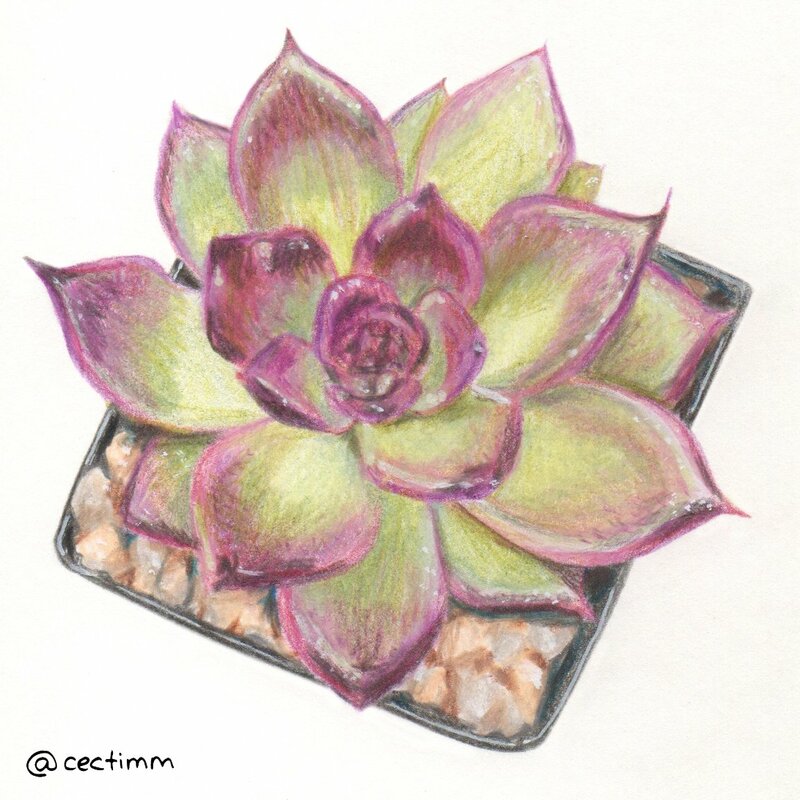 #adrawingaday #succulentdreams Another beautiful succulent plant with green and purple leaves. The source image for this one was supplied by Kelsi Mackenzie a member of the Facebook group Succulent Swap Australia. I adore the endless variety of succulent plants... I could draw them forever ♥ If you would like to purchase a drawing or commission a portrait, please get in touch. 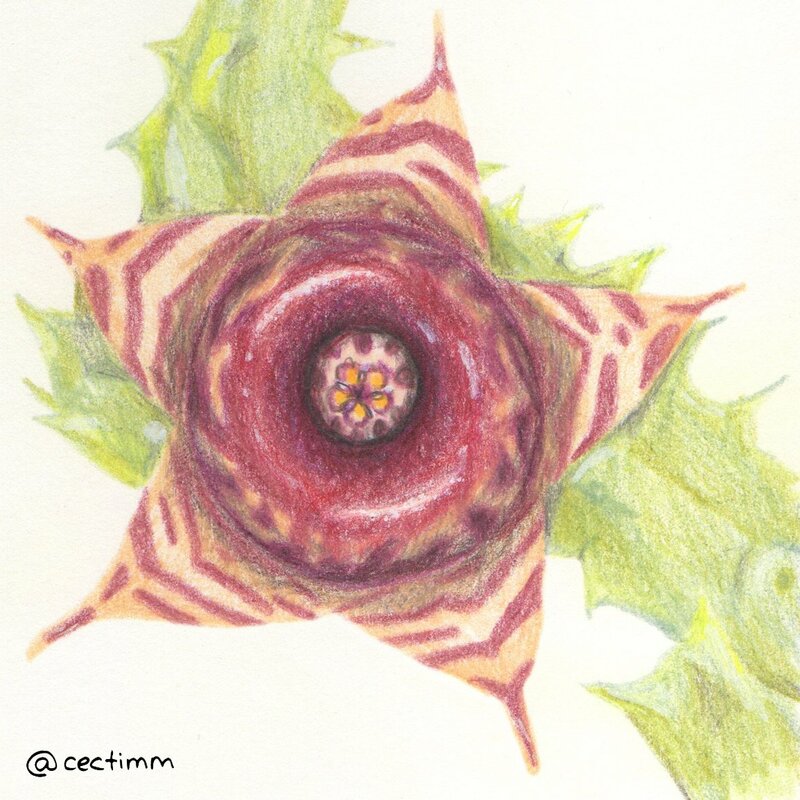 #adrawingaday #succulentdreams This is a spectacular example of a flowering succulent. I haven't seen one of these in real life... this image was supplied by a member of the Facebook group Succulent Swap Australia. Thank you Linda Skyes for sharing the succulent love ♥ I'm really enjoying the different textures of these varied and beautiful plants. If you would like to purchase a drawing or commission a portrait, please get in touch. 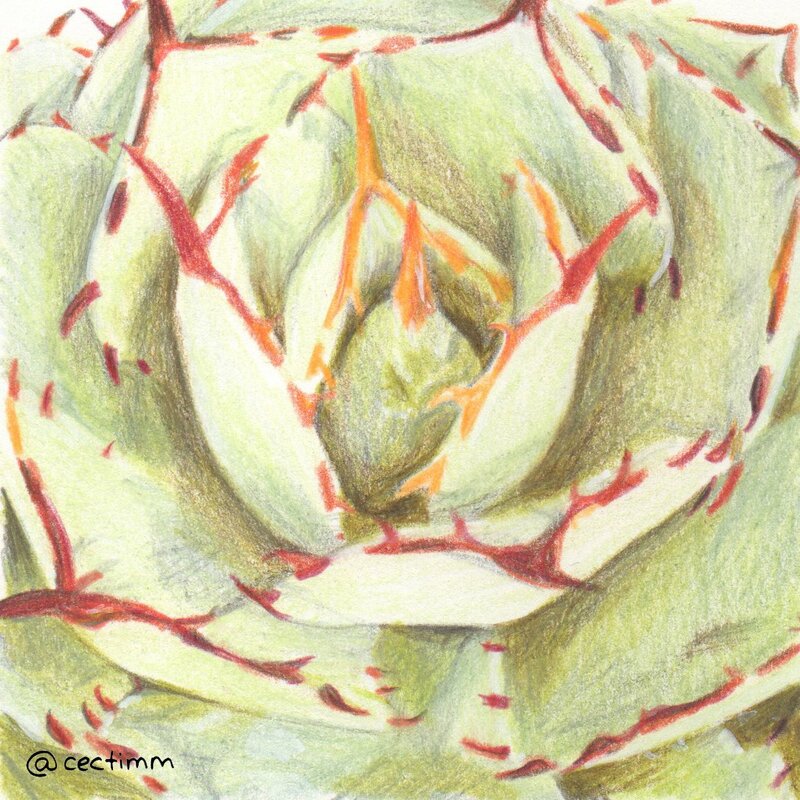 #adrawingaday #succulentdreams A photo of this beautiful succulent was shared by Tracey Greenall form the Facebook group Succulent Swap Australia. Such a lovely and generous group of people, they answered my call for drawing ammunition. What a delicate and beautiful plant. I wish this was from my garden ♥ If you would like to purchase a drawing or commission a portrait, please get in touch. 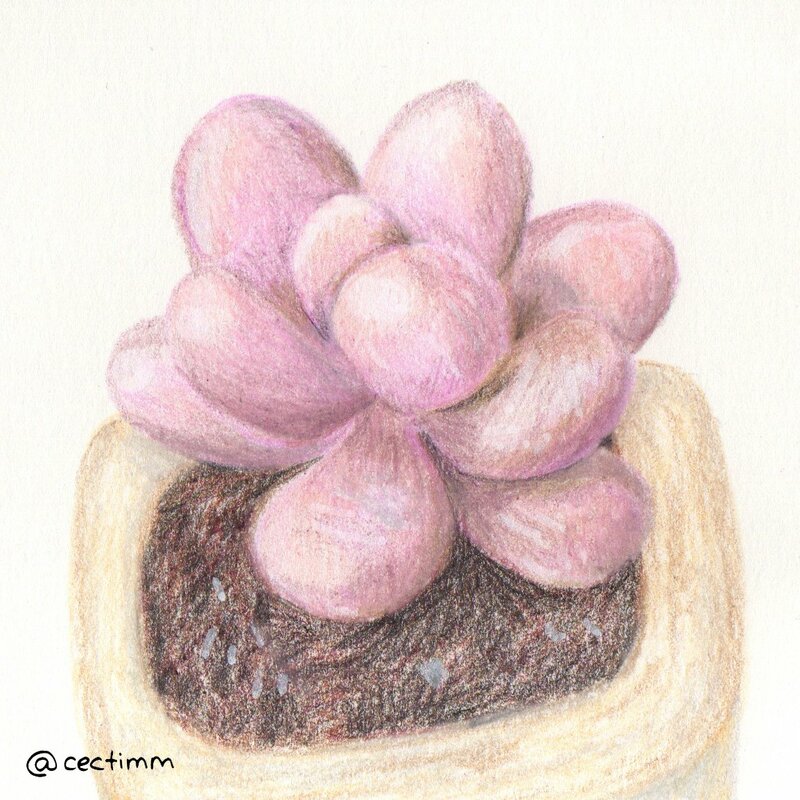 #adrawingaday #succulentdreams This sweet little succulent would look fabulous in my garden but sadly right now it only exists in google and in this drawing :P I love the pink and lilac tones in this plant and I will do my best to find one so that I can enjoy it in real life. If you would like to purchase a drawing or commission a portrait, please get in touch. 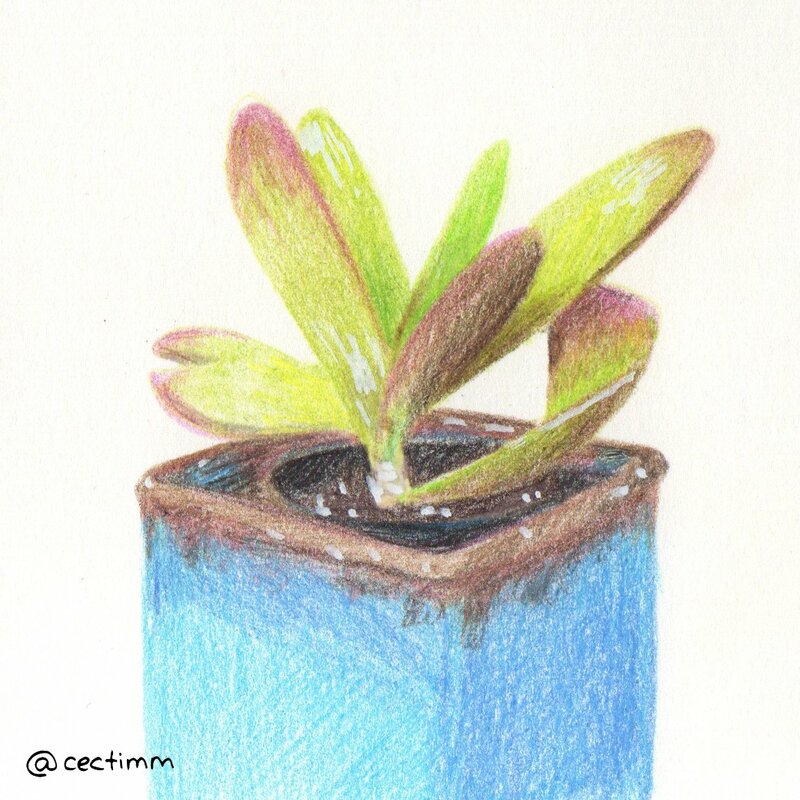 #adrawingaday #succulentdreams I have decided to draw one of my favourite types of plants. I have always had a soft spot for succulents. When I knew I was going to draw succulent plants for the month of June I asked the lovely man at my local Bunnings if he minded if I take a bunch of photos of the little pots and he was happy for me to do so. I also put a call out on a facebook group Succulent Swap Australia and was overwhelmed by the number of beautiful photos that were shared with me. So this month is a combination of succulents from my own garden, generous facebook group members, Bunnings Kirrawee and a couple from Google images will make up the tapestry of #adrawingaday. 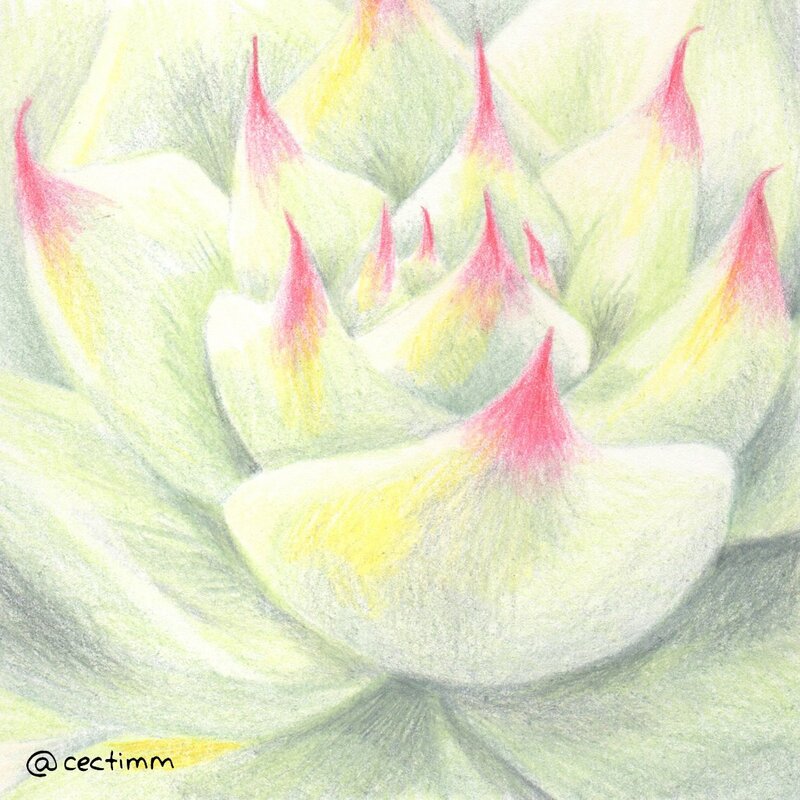 Follow Succulent dreams and enjoy :) If you would like to purchase a drawing or commission a portrait, please get in touch.